Happy Halloween! We all hope you have a spectacularly spooky day full of fun and goodies! 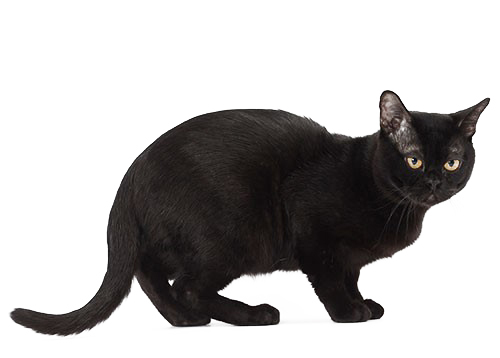 We want to help you celebrate by lauding the “black cat” so associated with Halloween. We hope you agree that this is a truly fitting day to find out more about the facts and urban legends surrounding a creature of true beauty. Let’s explore some interesting facts, and the origins of the famous stories, associated with this mysterious, misunderstood cat. There are at least 22 different cat breeds that have the potential to be born with solid black fur, whether short-haired or long-haired. Although there are plenty of black cat breeds, almost all of them will have either a yellow or golden eye colour due to a high melanin pigment (The Mercury News, 2017). As black cats age, the colour of their fur may also change to different shades of brown, sometimes known as ‘rusting’ – especially if the cat likes lounging in the sun. This is because the sun’s rays break down the pigment in their fur to reveal the underlying tabby stripes. Some believe this gives them a distinguished look in their older years. Their fur is also harder to see on furniture or clothes when compared to other cats – which many owners might also consider a positive! Now, let’s take a look at some famous black cat urban legends. Beginning in the Middle Ages, black cats became associated with Satan, witches and witchcraft. Legend had it that witches could transform into a black cat and back, and this was the precursor to many of the superstitions we hear today (Jordan, 2014). Additionally, there was the Middle Age legend that the devil often gifted black cats to witches to act as their servants. This is why in the modern era, witches and black cats are often linked to fun, spooky events, which of course includes “Halloween”. You may also remember the famous black cat Salem from the comic book series and TV show “Sabrina the Teenage Witch”, as well as Snowball II from “The Simpsons”. Egyptian households believed they could gain favour from Bastet, an Egyptian goddess with a human body and a black cat’s head (also known as Ailuros, Greek for “cat”) by hosting black cats in their household in homage to the “protector of cats” (Jordan, 2014). This view was held in the early 17th century by the English monarch Charles I. Upon the death of his treasured pet black cat, he is said to have lamented that his luck was gone. True to his claim, he was arrested the very next day and charged with high treason. Most of Europe: Black cats are considered to a symbol of bad luck, particularly if one walks across the path in front of a person. Germany: A black cat crossing a person’s path from right to left is a bad omen, but if crossing from left to right, the black cat is granting good fortune. Northern Europe: It is believed that taking in and caring for a black cat can ensure fair weather and safe passage during voyages on the sea. Asia: Owning a black cat is considered lucky. Scotland: A black cat appearing on your doorstep is a sign of prosperity. England: It is commonly considered that a black cat crossing a person’s path is a good omen. In the Midlands, a black cat as a wedding present is thought to bring good luck to the bride. 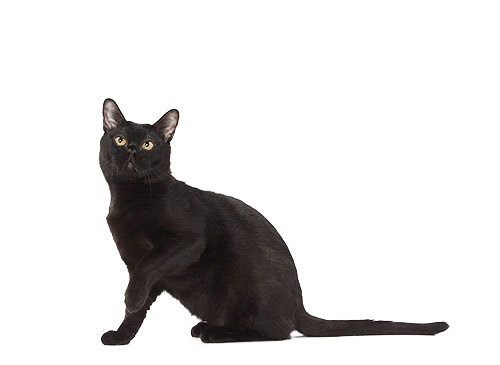 Italy: If you hear a black cat sneeze, you are in for a streak of good luck. With so many events, memories and beliefs stemming from the presence of a black cat, we hope you agree that time should be taken this Halloween to appreciate the black cat. This creature’s influence on so many cultures, and its unique essence of mystique, should be celebrated; not just today, but every day! Discover more about all things cat with our dedicated cat articles section.